When the Pogo Connect stylus was first released, you only have one tip to play with. 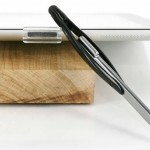 Now there’s a total of 5 different tips that will magnetically attach itself to the stylus giving you the same pressure sensitivity that the stylus is known for. You can purchase each tip separately but would be wise to order a few if you are having it shipped internationally as it can be pricey. 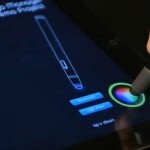 R1 is a 4.5mm tip which is used for note-taking and if you require precision. 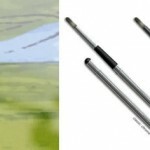 R2 is a bigger 6.0mm tip with better pressure sensitivity. R3 is the original sized tip at 7.3mm which gives the best pressure and good precision. B1 is a straight brush that lets you feel like you’re holding a real brush and giving you the realistic painting experience. 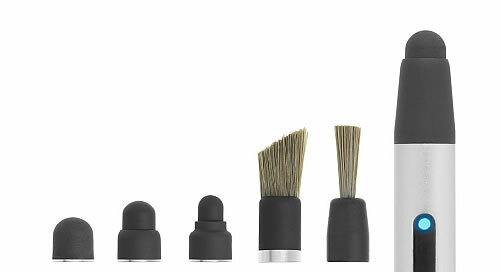 The B2 tip is similar to the B1 except it’s an angled brush. Each “R” tip comes in a pack of 2 and is priced at $9.95 while the B1 and B2 comes together in a set and priced at $24.95. For more information, check out their website. Here’s a video demonstration of the Pogo Connect with the new tips. Too bad that brushes are not sensitive to varying pressure. 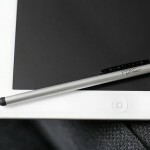 Thanks for visiting iPad Stylus Blog where we bring you the latest updates on the best stylus and pens that is out there in the market. 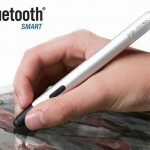 The stylus is a great tool for taking notes, sketching and drawing on your tablet devices. Do bookmark us and drop by again!